The “infrared universal” series is a range of instruments for controlling the temperature, pressure and humidity values in air-conditioning, refrigeration and heating units. They can however also be used in other contexts, as the voltage or current inputs can support various different types of sensors. In addition, the PT100 probes or thermocouples have an operating range up to 800 °C and can comfortably manage common oven or furnace temperature control processes. The wide range of models can satisfy all requirements. Types of outputs: relays, 0 to 10 Vdc, or control of external SSRs. Type of power supply: models are available for mains power supply 115 to 230 Vac, 12 to 24 Vac/Vdc or 24 Vac/Vdc. Panel or DIN rail mounting: all models are available for both classic panel installation with IP65 front protection, or for DIN rail mounting (4 modules). Backward compatibility: the list of parameters is compatible with the previous “ir32 universale” range. 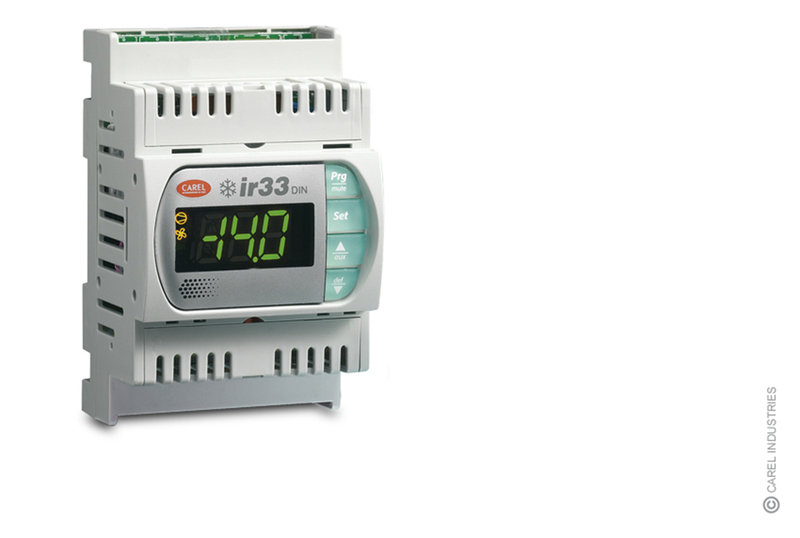 Other functions: 2 configurable digital inputs, IR receiver and buzzer available on all models; some versions also feature a real time clock (RTC).